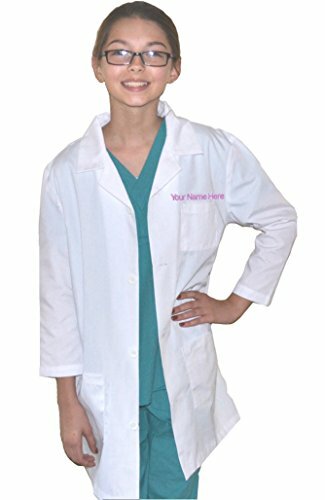 Are you tired of having to buy costumes and then having to spend more money on a role play kit as well? Are you annoyed when you spend money on toys that only last a day or two?Does a bunch of accessories with nowhere to put the make your house messy? 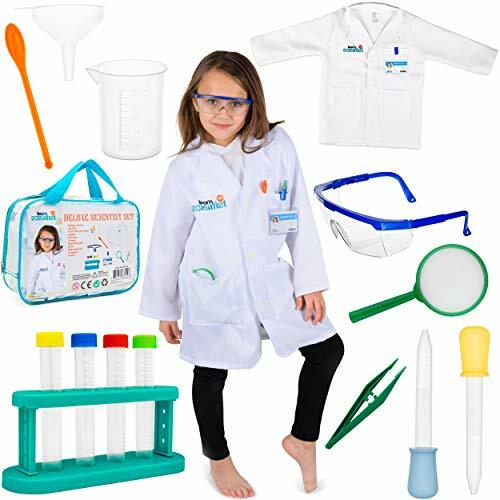 Born Toys has solved all of these issues in one.With our Scientist set let your child feel like a real life Scientist and even actually explorer.Our high quality materials will withstand the test of time.Most of all when they are done playing you will have an easy place to store them right back in its original carrying bag. This will keep the parents happy while teaching kids good clean up habits. Our product has a manufacture satisfaction guaranteed. Give your child the opportunity to explore their imagination today!! 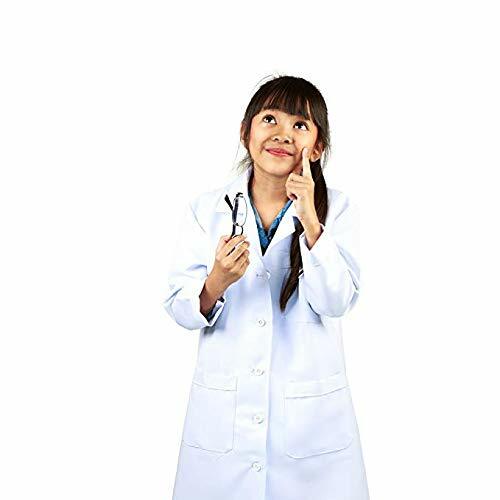 Product description Our Doctor Lab coat is Ideal for playing dress-up, stage performances, costume parties, halloween and more. Our kids coats feature a buttoned front closure, two front pockets. Scientist dress-up outfit and accessories. 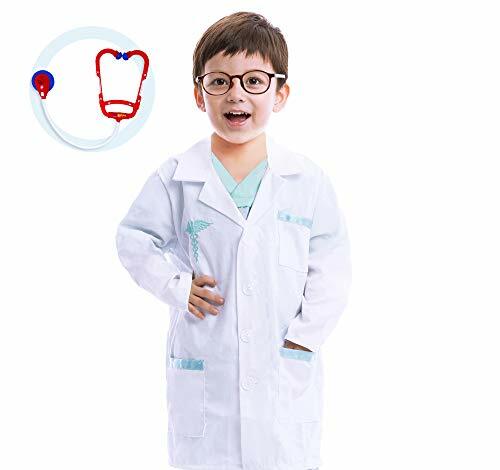 Machine washable - unisex for girl and boy doctors. 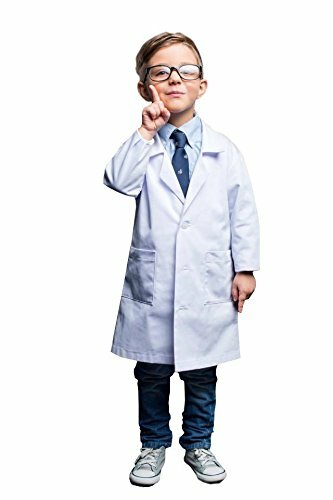 Package Included: Only 1 x Kid Lab Coat. 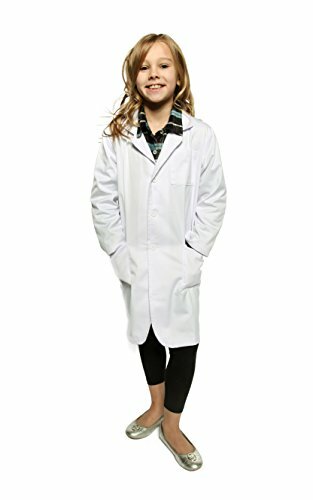 Size Small: Shoulder width: 35cm / 13.8inch; Waist width: 43cm / 17inch; Sleave length: 43.5cm / 17.2inch; Lab Coat length: 74cm / 29inch. 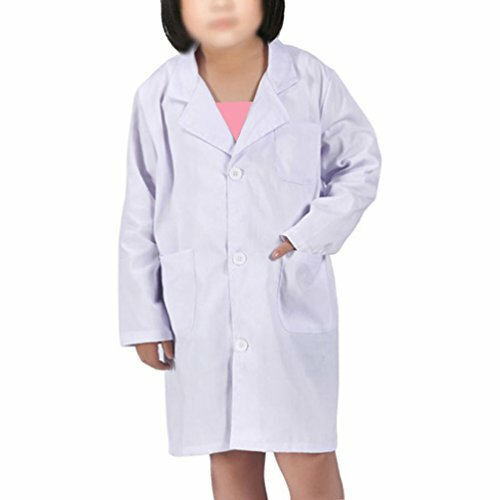 Medium: Shoulder width: 36.5cm / 14.4inch; Waist width: 45cm / 17.7inch; Sleave length: 44cm / 17.3inch; Lab Coat length: 77cm / 30.3inch. 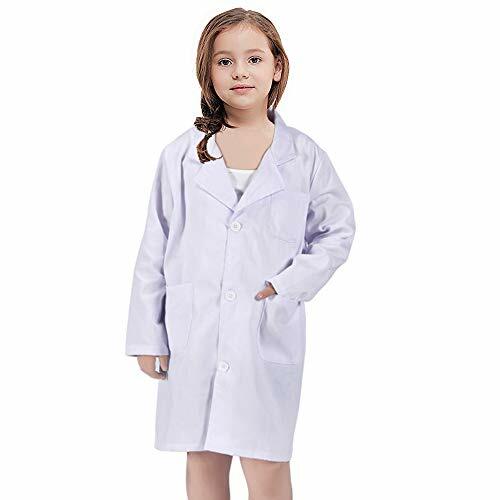 Large: Shoulder width: 38cm / 15inch; Waist width: 49cm / 19.3inch; Sleave length: 50cm / 19.7inch; Lab Coat length: 83cm / 32.7inch. Notes Size may be 2cm/1 inch inaccuracy due to hand measurement. 100% Satisfaction Guarantee.Any question please contact us, we will work out the satisfied solution.